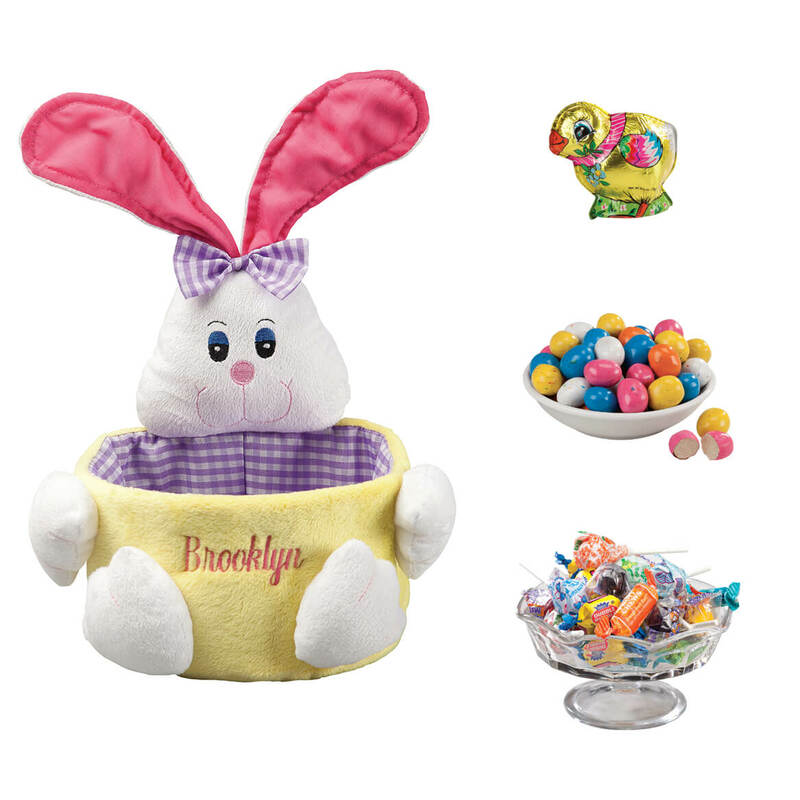 This bright personalized pink Easter basket and candy is sure to delight one eggstremely special child, especially when they see the treats inside! 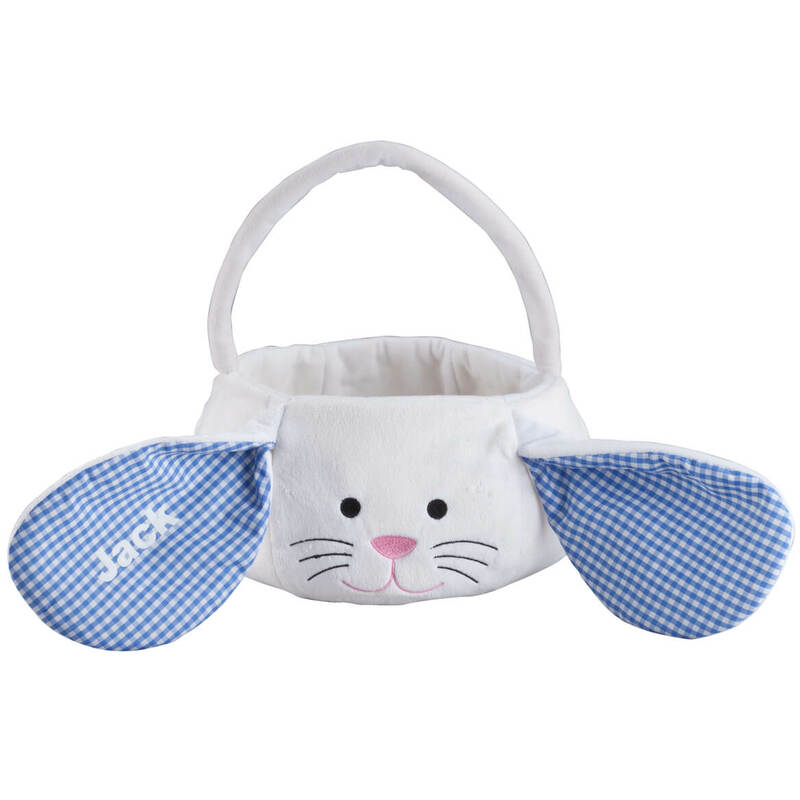 Detailed with buttons and ribbon, this custom easter basket has plenty of room for the goodies that come with it. 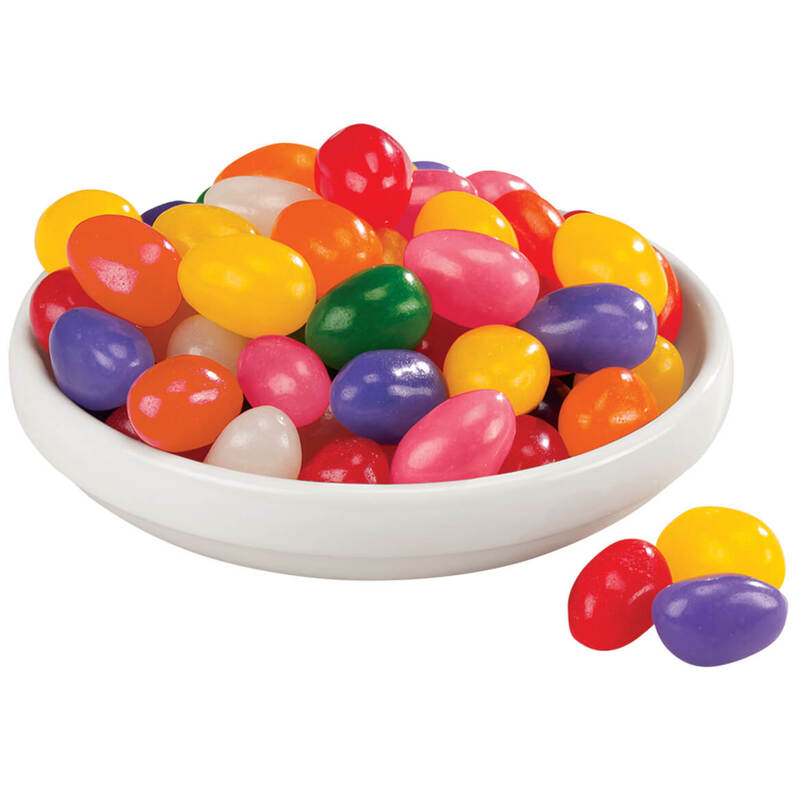 The Easter kids mix is brimming with individually wrapped candy favorites, including Dum-Dums® lollipops, Dubble Bubble® bubble gum, Tootsie Fruit Rolls® and Jaw Busters® Jawbreakers. 14 oz. 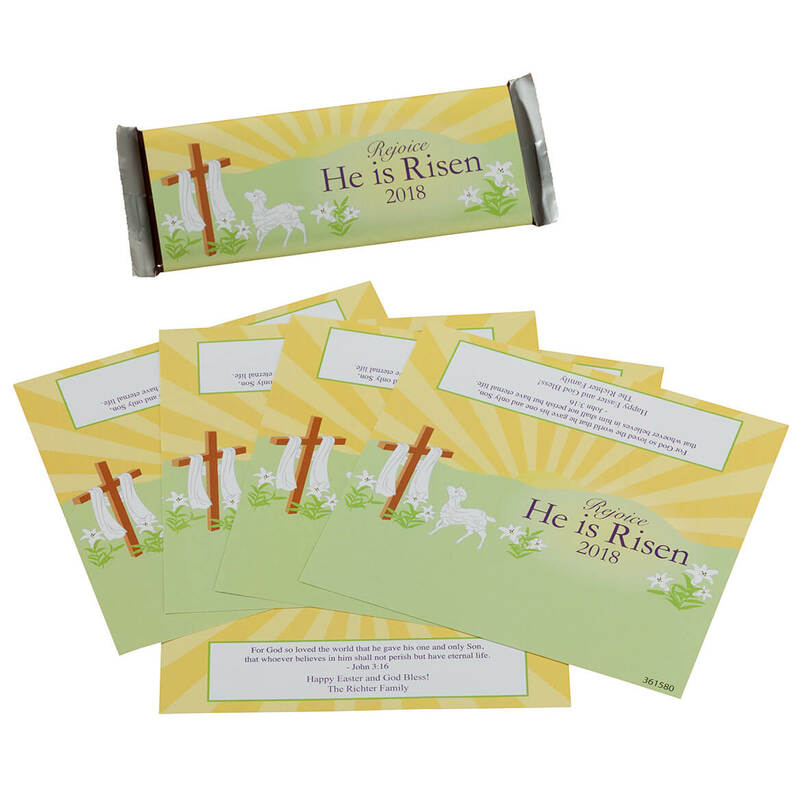 Speckled malted chocolate eggs treat kids to the sweet taste of malted milk in bite-size minis. 8.5 oz. Madelaine® Chocolate Chick is made with luscious, semi-solid premium milk chocolate and comes wrapped in shining yellow Italian foil. 2 1/4″ x 3 1/2″ x 3″; 2.5 oz. Basket folds flat for storage until next year. We’ll personalize. Specify name; limit 1 line, 12 letters/spaces. Polyester, cotton, plastic; hand wash. Imported. 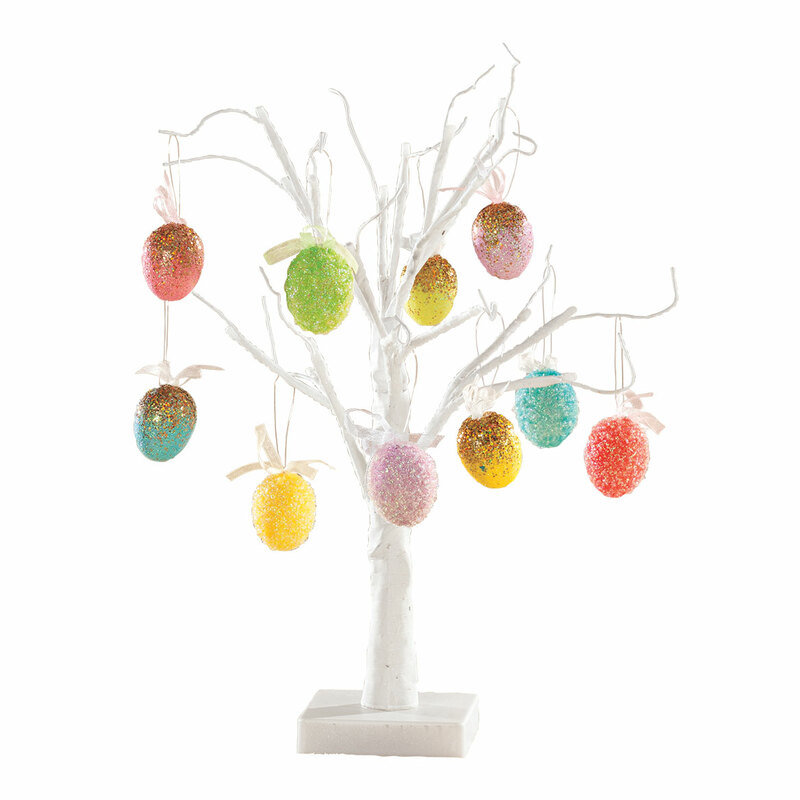 11″ high x 7 1/2″ dia. overall. 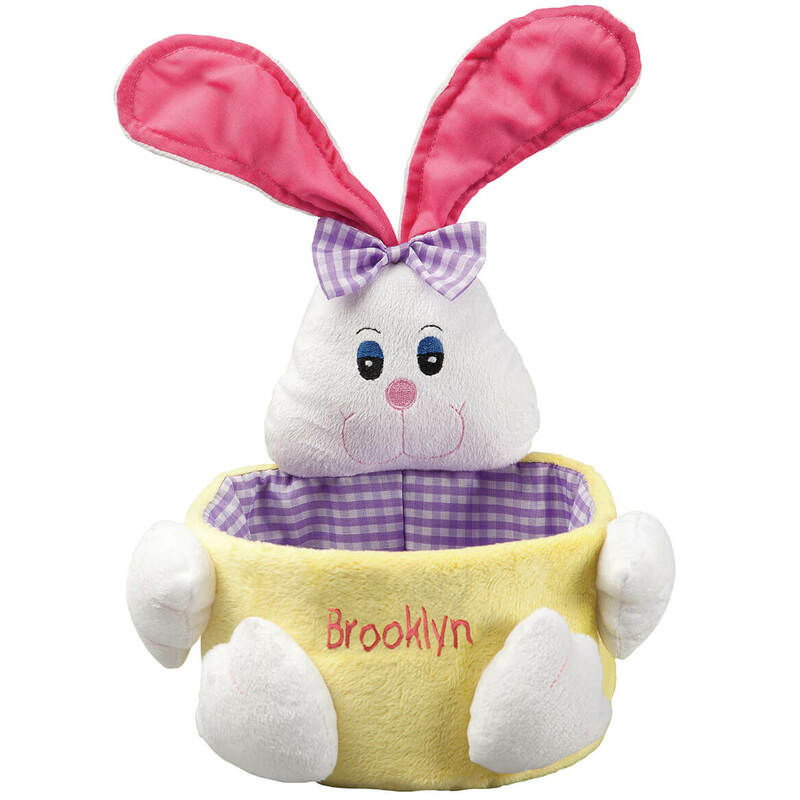 Don’t limit this lovable lamb to Easter—he’s a sweet, snuggly friend for any season, any reason! Designed in plush, huggable fleece with ultra-soft fill, our cuddly plush lamb is sure to be a treasured gift. 100% polyester; spot clean. Stuffed animal measures 7 1/2″ long x 8″ high. 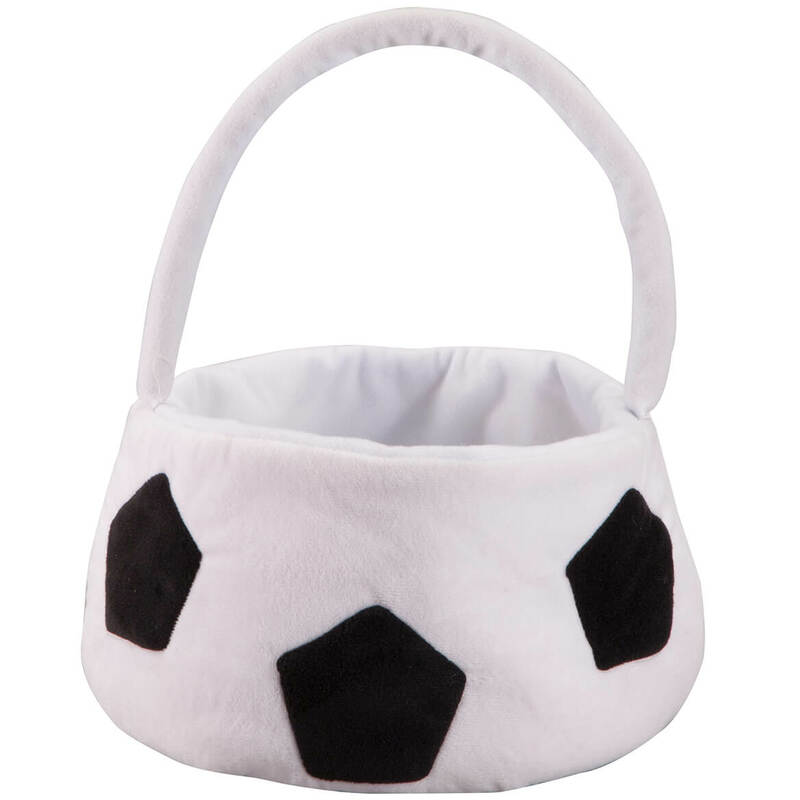 Designed to look like a real soccer ball, this plush Soccer Ball Easter basket is durable enough for egg hunts and candy galore, but has no rough edges to scratch tender skin. Our sports-themed basket is crafted of quality velboa fabric—a short pile faux fur boasting cuddly softness and lasting durability. Fun for little athletes all year long, the soccer ball egg basket is great for storing crayons, toys, soccer trading cards, candy and more. 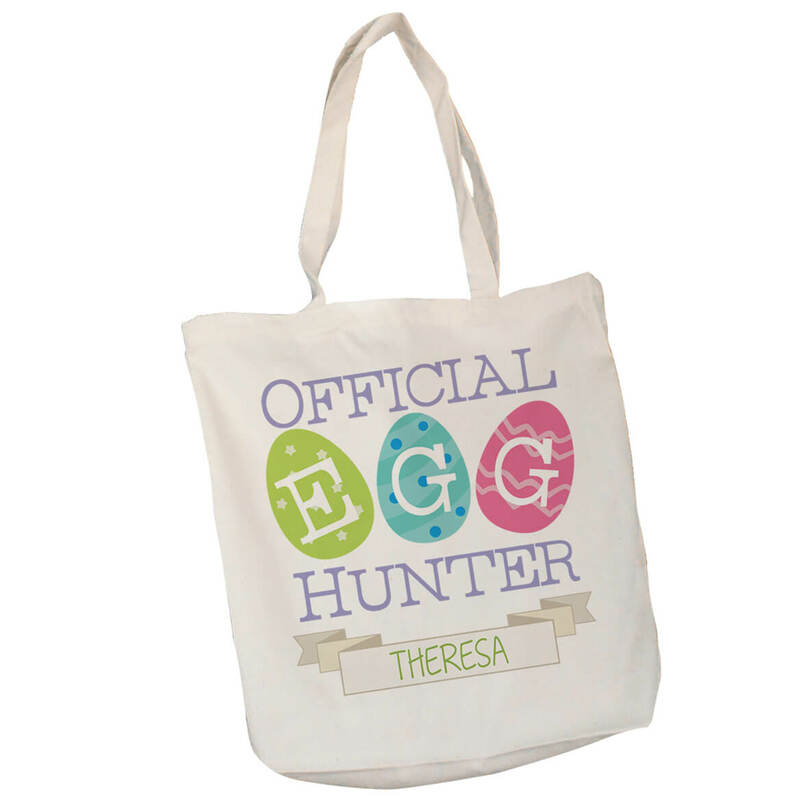 Its large, soft handle makes it easy to carry along on road trips and play dates, all year long. 12″ wide x 5″ high; nearly 12″ high with handle. 100% polyester; spot clean.